It was clean, confortable and close to the center. The room is large comparing with most of European hotels, the bed and bedding are very comfortable. The staff is very helpful. They go extra miles to accommodate your needs and wants. We arrived earlier than the check in time, and was told our room is ready, so we can go to our room. We are so happy that we don't have to wonder around. We used an office adjacent to the reception for some work, because the wifi signal is better there than in our room. 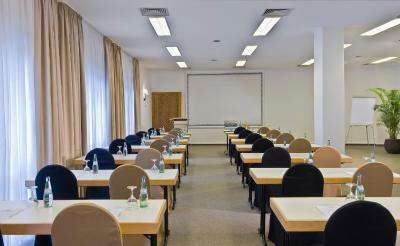 The first day the room is free, but on the second day, they rented the room out. They could just told us so and made us leave, but they found another empty room for us and moved in a table just for us to use. We are so grateful for their kindness. The last morning as we were checking out, they called the taxi for us, and served us free coffee while we were waiting. Talking about the hospitality, the people there are second to none! I definitely want to stay there again if there is chance. 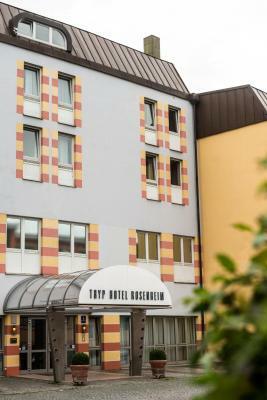 Conveniently located at the edge of the old town (and where all the shopping is) and a few steps away from the Congress Center. Efficient staff. Location is very good so convenience for city tour explroring, staffs are all friendly..
Staff was nice and friendly, breakfast, bed comfy. Central location was great. Parking (although not free) was convenient and reasonably priced. 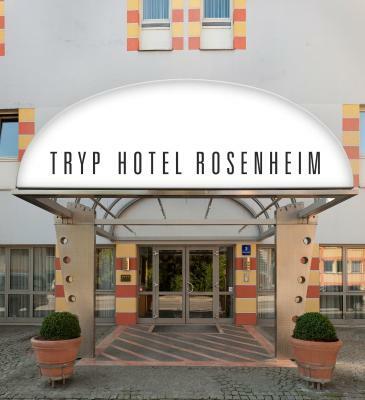 Tryp by Wyndham Rosenheim This rating is a reflection of how the property compares to the industry standard when it comes to price, facilities and services available. It's based on a self-evaluation by the property. Use this rating to help choose your stay! 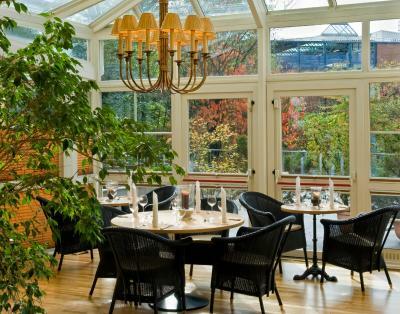 This hotel in central Rosenheim offers modern rooms and a bright breakfast restaurant with conservatory. 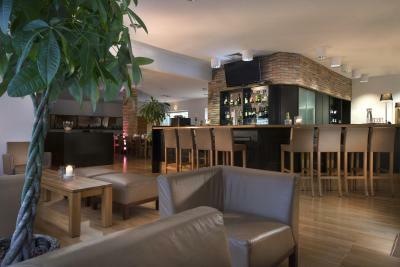 This hotel garni is located directly next to Rosenheim's Congress Center and Munich is only 40 mi away. 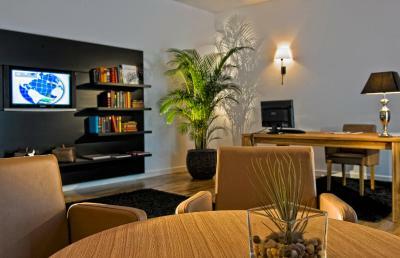 The Tryp by Wyndham Rosenheim was fully renovated in 2009 and its rooms feature contemporary décor. 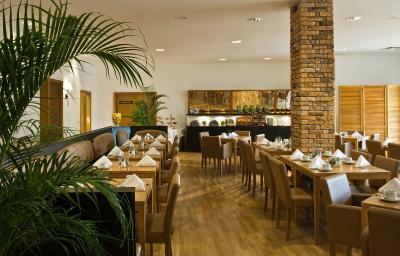 In the mornings, guests can enjoy the Tryp by Wyndham Rosenheim's big breakfast buffet on request. There is also a bar. 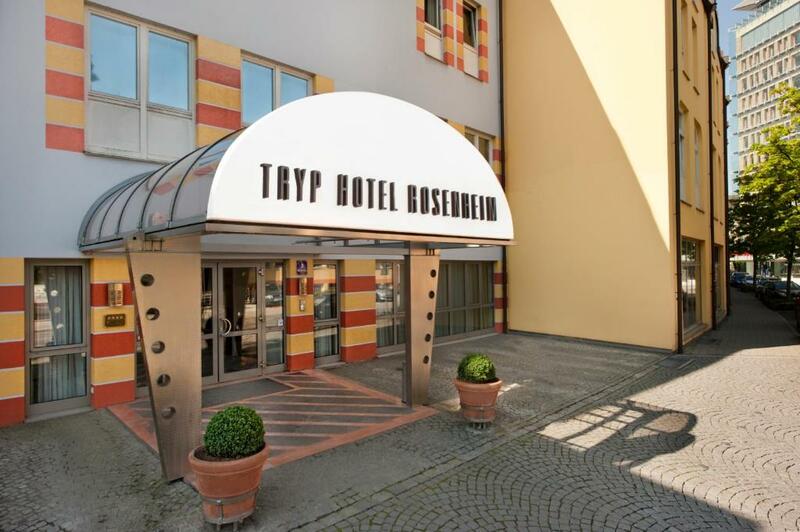 Wi-Fi is freely available at Tryp by Wyndham Rosenheim. 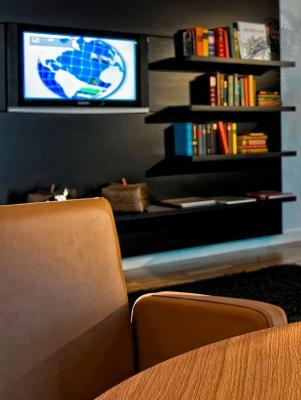 All hotel rooms are equipped with Sky Cinema 1 and guests can also watch free Sky Sport in the lobby. The A8 motorway is just 3.1 mi away. 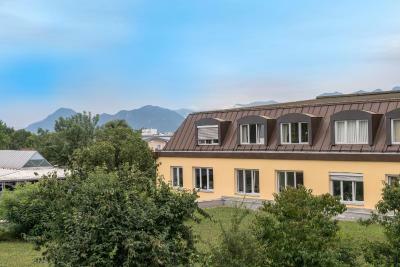 Attractions nearby include Lake Chiemsee, just a 25-minute drive away. The Lokschuppen is also located next door. When would you like to stay at Tryp by Wyndham Rosenheim? These rooms face the street. These quiet rooms offer either a partial mountain view or a view of the street. 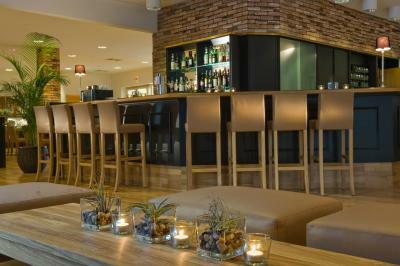 Spacious rooms with a sofa, hot drinks facilities and an iPod docking station. This room also has a spa shower and bubble rain shower heads. 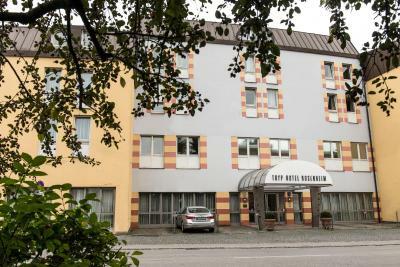 We are the largest and one of the leading Alp hotels in the city center of the Bavarian city Rosenheim, situated between Innsbruck, Munich and Salzburg. For our business and leisure guests we offer 89 rooms and two apartments, a breakfast restaurant with winter garden a bar and a business lounge. 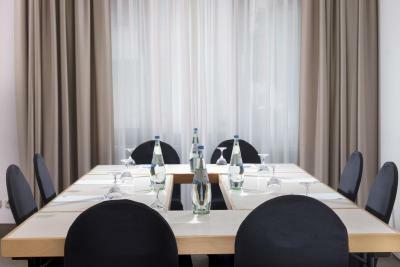 House Rules Tryp by Wyndham Rosenheim takes special requests – add in the next step! Debit card Tryp by Wyndham Rosenheim accepts these cards and reserves the right to temporarily hold an amount prior to arrival. 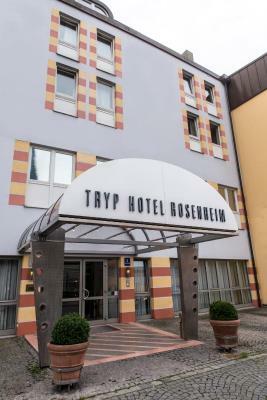 Tryp by Wyndham Rosenheim accepts these cards and reserves the right to temporarily hold an amount prior to arrival. All extra beds and baby cots are available on request only, and must be confirmed by the hotel. The breakfast options were quite limited and could do with better options. One of our rooms was not clean when we arrived, and when we they gave us a 'new' room, it stank of body odor. The carpets in the rooms are badly stained and look disgusting. Carpet everywhere in the room, coridors and lift was very dirty. Bathroom was terrific as scale all over on shower. WC basin black of dirty scale. Also we killed 3 spiders in the room. When we report the issues to reception, staff became rude and raised the voice. Not recommended for anybody. Stay away. Comfortable beds and clean linings. Very close to town centre. Size of the room, configuration of the room, facilities, size and cleanliness of toilet, no complementary water in the room, booked queen bed and five twin bed!! perfect location !! kemah keming boh!! No own parking facilities, had to go to a public parking, paying extra. 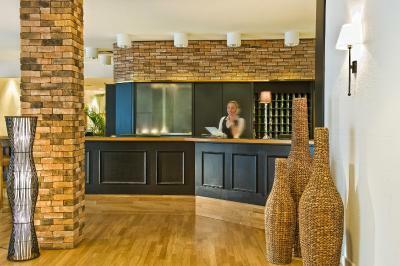 The receptionist who checked me in and checked me out was lovely and pleasant. Christina, she's amazing!